Palmer School, 5051 N. Kenneth Ave. will get a $20 million annex and a turf field in addition to the ongoing roof improvements to the school’s main building. “We are just thrilled beyond belief to have this,” Friends of Palmer community outreach chairwoman Nicole Foster said of the planned improvements. Funding for the project was included in the Chicago Public Schools’ 2019 capital budget, which totals $989 million. 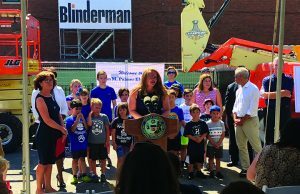 Mayor Rahm Emanuel, Alderman Margaret Laurino (39th) and principal Jennifer Dixon announced the Palmer improvements at a July 8 ceremony at the school. Dixon said in an interview that the improvements resulted from the school and community coming together to help bring much-needed infrastructure enhancements to Palmer. Despite being a Level 1+ performing school, Palmer’s infrastructure needs had been ignored for too long, Foster said. Friends of Palmer was formed 2 years ago in an effort to draw attention to the school’s needs, as volunteers organized petition drives and letter-writing campaigns to help get the attention of school and city officials, she said. Plans call for the annex to be constructed on the site of the school’s parking lot at the southwest corner of Kostner and Carmen avenues, directly behind the main building. New landscaping is planned along Kostner in front of the addition, and a new parking lot will be built on the site of the existing basketball court along Kostner. Foster said that final design plans for the annex have not been finalized but that a new cafeteria is a priority. She said that the existing lunchroom facility is too small, requiring some students to eat as early as 10 a.m. and others to finish lunch at 2 p.m.
“It wasn’t meant to handle 900 students,” she said of the existing lunchroom. Currently the main building is used for pre-kindergarten through third grade, the modular units for fourth and fifth grades and the existing annex, which was built in 1997, for six through eighth grades. “People are working out of closets in the main building. We just have no room to move,” Foster said. The 17-year-old modular units were never intended to be a long-term solution and will be demolished after the new annex is completed, Foster said. 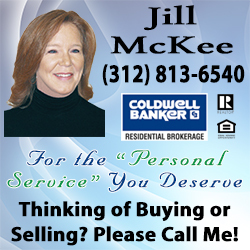 However, the existing annex, which is located near the northwest corner of Argyle Street and Kostner Avenue, could remain if the school needs the additional space, she said. Palmer also will be receiving an approximately $1 million artificial playing surface, which will be located just to the north of the main building on Kenneth Avenue. In addition, construction of a new $17 million roof will be completed in two phases, with half done this summer and the other half next summer. “Palmer has made great strides despite the condition of its physical building. 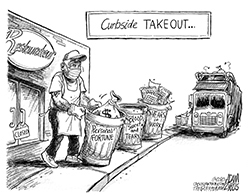 However, those conditions are about to improve dramatically,” Laurino said in a recent statement.